Starting May 3 to May 12, Starbucks is offering you half off any frappuccino! only a few locations are participating, be sure to ask before you buy. enjoy! First, give yourself a break: You don’t have to follow a diet that’s impeccable to produce nutrient-rich breast milk. Still, every smart choice you make helps. There’s more good news: To manufacture Baby’s meals, your body burns about 500 calories a day. That translates into extra calories for you to enjoy, say, a small chunk of dark chocolate at 3 p.m. without gaining weight. Of course, this metabolism boost can also make shedding baby pounds easier, particularly if you gained more than recommended. “Losing up to 4 pounds a month is safe,” says Eileen Behan, R.D., author of Eat Well, Lose Weight While Breastfeeding. No matter the number on the scale, follow these food commandments to get the most from what’s on your plate. Ahhh…wake up with coffee. And it’s okay to have an afternoon pick-me-up too. Just aim to sip right after nursing, so your body has time to clear the caffeine from your breast milk, says Nancy Hurst, Ph.D., R.N., director of lactation services at Texas Children’s Hospital Pavilion for Women, in Houston. And feel zero guilt about your cup of joe: The latest research shows that coffee drinkers may have a lower risk of type 2 diabetes and endometrial cancer. Meet your calcium quota. If you don’t fill up on this mineral must, your body will “rob” your own bones to make sure there’s enough calcium in your breast milk to nourish your baby’s nervous system and bones. Start with breakfast to hit your daily 1,000-milligram goal: Pour 1 cup of skim milk (300 milligrams) over ¾ cup of original Total cereal (1,000 milligrams), and you are more than done. Some other ideas for heavy hitters: Sip ½ cup of OJ (150 milligrams), slide a 1-ounce slice of cheese (200 milligrams) into your turkey sandwich, snack on a creamy cup of fat-free yogurt (250 micrograms), and steam a cup of broccoli for dinner (156 milligrams). For insurance, take a 500-milligram calcium supplement (half your daily need). Keep up your folic acid habit. This mineral is crucial for preventing birth defects early in pregnancy, as you know. But its powers continue through your baby’s infancy by encouraging growth. And it’s a friend to your heart. Aim for 500 micrograms each day, slightly less than the 600 micrograms you needed during pregnancy. Try a fortified cereal; 1 cup of Special K and ½ cup of Kellogg’s All-Bran Original each has 400 micrograms. At dinner, add 1 cup sauteed spinach (350 micrograms), black-eyed peas (350 micrograms), or asparagus (243 micrograms). Wash down your multivitamin. Speaking of folic acid, make sure you take a daily woman’s multivitamin to get 400 micrograms of this mineral, as well as other nutrients you and your baby need, says Willow Jarosh, R.D., co-owner of C&J Nutrition, in New York City. It will keep you from stressing about a less-than-stellar day of eating. If another baby is in your future, switch back to a prenatal dose when you start trying to conceive or get that positive test. Talk to your ob/gyn. Fill (and refill!) your water bottle. It’s a myth that guzzling H2O boosts your milk supply, says Dr. Hurst. But it does help your body recover from the physical stress of childbirth and give you more energy. Sip water every time you nurse or pump. You’ll know you’re drinking enough if your urine is clear. Make fish your friend. “The more fish you eat, the more omega-3 fatty acids your breast milk will contain, and that’s crucial for the development of your infant’s eyes and brain,” says Lori Feldman-Winter, M.D., a pediatrician in Camden, New Jersey, and a spokeswoman for the American Academy of Pediatrics. Chowing down on these good fats is also good for you, staving off heart disease and cancer. A 6-ounce salmon filet packs an omega-3 punch (1.7 grams), and it’s a low-mercury swimmer. Tuna also contains omega-3s. The canned kind is lower in mercury than tuna steak (which you should limit to 6 ounces a week). Not a fish lover? Snack on a handful of walnuts (2.6 grams), add flax seed to oatmeal, and use omega-3-fortified eggs for your morning scramble. Thank you SAving with Shellie for sharing the diaper deals of the week! see full list on here. Going on now until 5/1 you can get 40% off regular priced itmes wiith coupon code BRIGHT and pin 4520. Free shipping after $50. Head on over to Shoes.com today to score a pair of Sketchers for 20% off. Just enter SCH20 at checkout. If you have a little girl like we do, you know twinkle toes are pretty popular now. It’s a deal + it’s free shipping. But if you really want to cleanse then DRINK, DRINK, DRINK. Here are 8 home made vitamin water recipes to help you keep the water flowing! 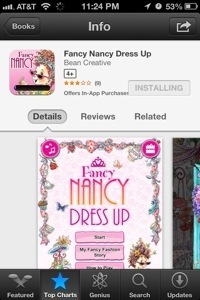 For a limited time, head over to the App Store on your iPhone and get the Fancy Nancy Dress Up app for free. Great for your little princess who are fans of Fancy Nancy. Head on over to Toms now and pick up a pair for the Spring season. You can take $5 off your purchase over $25 by entering RMNSPRINGTOMS at checkout. You can also receive free shipping. 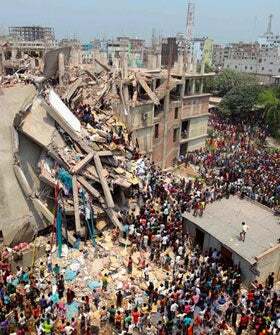 Remember when you buy one you give one at Toms.